Dale J Trombley II, M.D. has been in the practice of Family Medicine in Anchorage since 1979 and has lived in Anchorage since 1964. 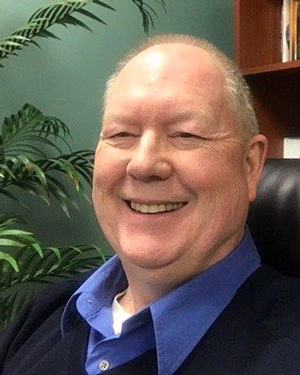 Dr. Trombley graduated from East Anchorage High School, then Alaska Methodist University and then graduated from St. Louis University School of Medicine in 1974. Dr. Trombley completed his family practice residency in Dearborn, Michigan where he was Chief Resident the last year of his residency. After residency, Dr. Trombley served two years in the United States Public Health Service as a physician in a medical shortage area for a small town in rural western Iowa, after which he returned home to Anchorage. He served with the United States Air National Guard as a physician at Kulis ANG base in Anchorage, which included time during Desert Storm. Eventually he was promoted to the rank of Lt. Colonel and honorably separated in the late 1990’s. Dr. Trombley is married, has three sons, and an increasing number of grandchildren. For more than 35 years Dr. Trombley has practiced medicine in Anchorage. He has been in solo practice as well as in partnership and group practices. His all-inclusive experience entails obstetrics, gynecology, pediatrics, assisting in surgery, newborn care, geriatrics and internal medicine. Dr. Trombley is a member of the American Academy of Family Physicians and the American Academy of Private Physicians and has been the chairman of the department of Family Practice of both Alaska Regional Hospital and Providence Hospital. He is certified for all classes of FAA examinations and DOT examinations. It is important to Dr. Trombley to be able to spend quality time with his patients and listen to their needs and concerns. Dr. Trombley’s unique approach to personal care and over 40 years of experience helps him create optimal treatment plans for his patients. 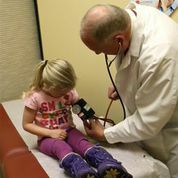 In 2015 Dr. Trombley converted his personal medical practice model to the “Concierge” or “Direct Private Primary Care” model, thereby limiting his practice to a group (or panel) of patients that prefer to have personalized professional medical care. This allows for an unhurried approach and personalized attention. All of us would like to enjoy the highest quality health care and the ability to have immediate access to medical services regardless of our physical location. For an individual like myself who travels extensively and am required to meet ongoing time critical deadlines in a high stress business environment, I cannot afford to be out of commission for any length of time. One of the highest quality and most experienced physician Statewide. 24/7 access from anywhere in the World. Concierge doctors see a limited number of patients and can better understand a patient's specific needs. A concierge physician has a thorough and immediate understanding of a patient’s medical history. Ability to make quick medical referrals to the most qualified specialists. I highly recommend both Dr. Dale Trombley and the concept of a concierge medical relationship with one's physician for someone in a position similar to mine. Over the years, we have been fortunate to have known and received care from numerous excellent physicians. With recent changes in the American health care system, as well as our own entry into Medicare, what worked in the past is not necessarily optimal for the present and beyond. Not only does Dr. Trombley’s new concierge practice afford us immediate access to excellent care from a superb doctor whenever needed, it really elevates the doctor-patient experience to an entirely new level. My wife and I joined Dr. Dale Trombley’s Concierge Medical Practice about a year ago and have, to our great benefit and satisfaction, discovered an extraordinary medical experience that was previously unbeknownst to us. Although Dr. Trombley has been our preferred family physician (provider) for many years, prior to this time he served with an organization that placed demands on this time and talent, thus limiting his accessibility to us even though our personal medical needs increased with age. Thus, since following Dr. Trombley into his direct private primary care practice we’ve found that he is now available to us – almost on call – to receive professional medical care in a personal, timely and caring manner which is unique compared to our previous experiences. In addition to having access to prompt appointments, we continue to appreciate the tie Dr. Trombley now has to monitor and manage our overall health concerns in a professional but personal way, which includes referrals and access to area specialists, interacting on our behalf if required. In conclusion, we heartedly recommend Dr. Dale Trombley’s Concierge Practice which we truly consider “a find” and a welcomed medical respite as the availability of professional, timely and personal sources of health care continues to become a rarity.